The Basecamp 2 account owner should visit basecamp.com/signup. Then fill out the form to start a new trial account using the same email address used for your paid Basecamp 2 account. We'll ask whether you're trying to log in, or create a new account. 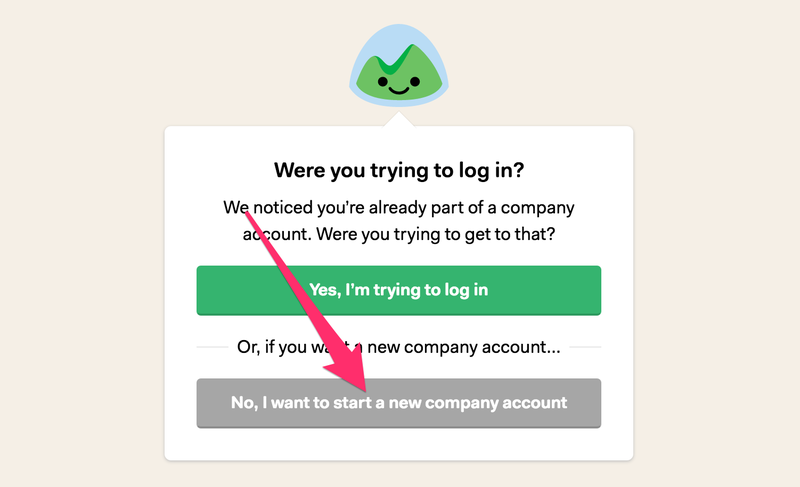 Choose the No, I want to start a new company account button. After that we'll ask you to confirm your password, and you'll be all set. You can ask your Basecamp 2 account owner to transfer ownership to you. This will allow us to link to your Basecamp 2 and 3 accounts together. Here's a quick guide explaining how they can do that. Or, you can write to our support team and ask them to make your Basecamp 2 account owner an owner on your Basecamp 3 account too, this will also link the two accounts. With both accounts owned by the same person, you're ready to claim your $150 credit for Basecamp 3. 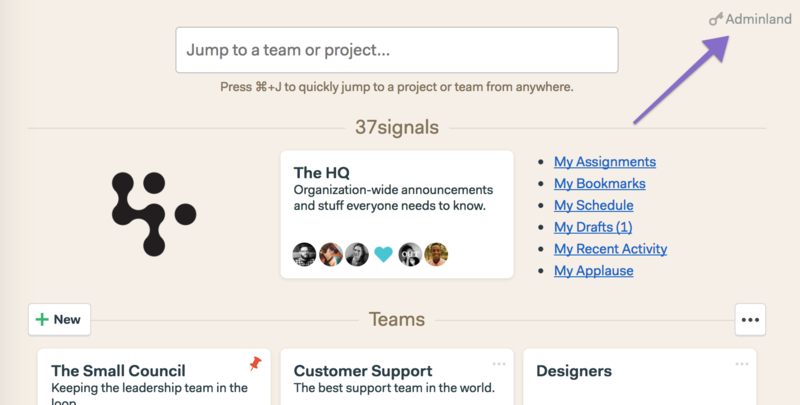 First, you need to head to Adminland in Basecamp 3. You can get there by clicking the Basecamp logo in the top-left, and then the Adminland link at the top of the purple menu. Next, scroll down to the "Account Owners" section, and click the Upgrade to a paid account link. Now you'll see a screen with a special call out at the top about the $150 credit. Just go through the checkout process and that's it! Your $150 credit has been added, and your Basecamp 3 account is ready to rock! Not seeing the call out about the $150 credit when you go to upgrade? That means we're not seeing a paid Basecamp 2 or Basecamp Classic account that you own. Double check that the same person owns both of the Basecamp accounts.